I saw the film Serenity a couple of weeks ago. It's good. Go see it! Apparently there is a rule at Fox Television that if a show is any good, it has to be cancelled. If there are plot lines that run from episode to episode, Fox will show them in a random order first - for added tauntage, as Buffy might put it. We'll return to Buffy later. It seems Fox has done it again with a series called Firefly. In spite of the show being cancelled, it has quite a few fans here in Belfast. Don't ask me how - it's probably something to do with technology. Or that Interweb thingy. Anyway, there was a preview showing of a film based on the series, and I was dragged along to see it by two real enthusiasts. As the start of the film grew closer, the anticipation in the cinema rose, undimmed by the dreadful canned music they play before the show. I was in the midst of a crowd of true believers, initiates into the mysteries of the crew of the Serenity. I was in a cult, and I alone hadn't drunk the Kool-Aid. It was visually gripping. The characters seemed to be individuals, not just featureless, pretty clones from casting central. There was a story, a sense of things happening below the surface - a past, and a direction. The futuristic world felt like it had substance. And there was humour, banter, and wit. Joss Whedon, also responsible for the Buffy franchise, displayed the same sense of fun and vitality here. The crew really were like old friends - a team, with the easy familiarity and the sudden bickering of a family, forced to live together on the run on the creaking ship Serenity. 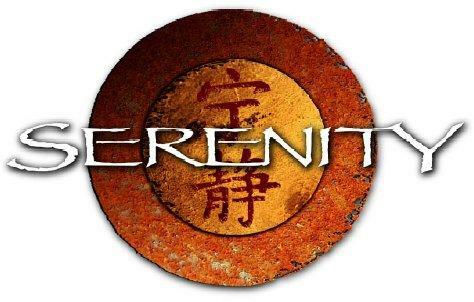 Serenity has been described as a Western in Space - but it's more than just that. I want to see the series now, to see where these guys were coming from, and what else happened. I don't know what the guys at Fox are playing at. Perhaps, though, their habit of axing brilliant shows explains why Fox News is said to be so bad - the news team are just trying to keep their show from being cancelled! I haven't yet had a chance to go see Serenity (though I definitely will sometime this week), but I just started watching the reruns of Firefly that have been showing on the cable SciFi channel (I hadn't even heard of the series until a couple of months ago). Having seen a few Firefly episodes, I can understand why the movie's release has been such a heavily-anticipated event. You're right about the Fox network; if a show displays any originality, an underlying message, quality writing, and a talented cast, it's toast. Double-ditto for FauxNews. We certainly can't expect today's sitcom-viewing audience (the mainstay of any network's revenue sources) to appreciate or undertstand a series of substance, so why keep it around? There's been quite a stir in the libertarian-oriented blogosphere about Serenity/Firefly's libertarian-oriented message, the controversy being that Joss Whedon has self-professed socialist leanings. No matter. While there may be philosophical overlap at points, the message is still clear to those who can recognize it. Perhaps Serenity and the positive reviews and big money it has garnered will spark a revival of Firefly. In any event, I'm curious to see where the movie leads. :D talented meaningful shows are definitely toast. And welllll what can one expect of the likes of Fox - except that act in a moron like manner with dollars signs in their eyes. What can one expect from networks that have a predeliction to prioritising violence, mindless inanity, lies and canned laughter. I have heard of Firefly and I would assume if Fox didn't like it - it must be damn good.